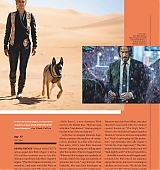 Keanu is featured on the May issue of GQ US Magazine “The Legend of Keanu Reeves“. 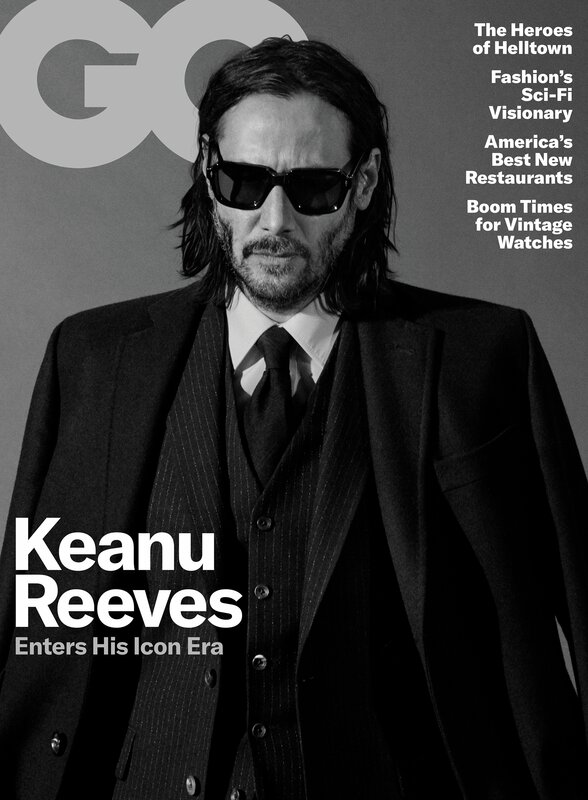 Here is the cover and the photoshoot, a behind scenes video and one where he talks about his motorcycle company, and some bits from the interview, which you can read at GQ.com website. 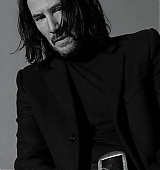 Here, before you’re quite ready for him, is Keanu Reeves: At the top of the driveway of the Chateau Marmont, smoking a cigarette on a low couch, like he’s on his front porch. He’s been coming here since the early ’90s. The Chateau was run-down and empty then—a seedier, pre-André Balazs version of itself. The faucets didn’t always work. The carpets were dicey. “You didn’t want to take your shoes off,” Reeves says. 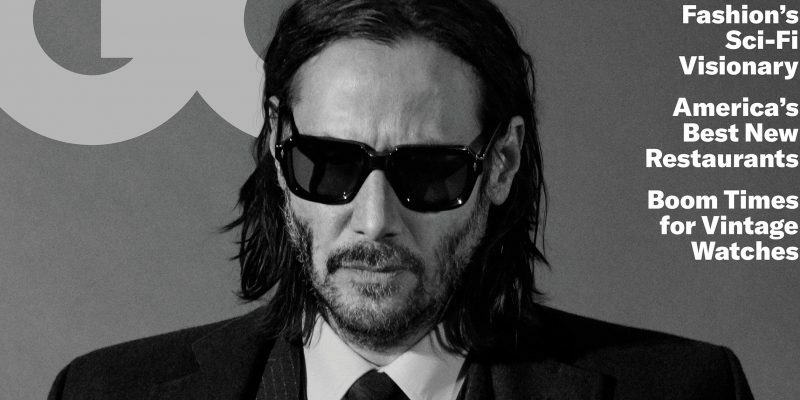 Today the real Keanu Reeves has that same patchy beard. That same curtain of hair falling into his eyes. He’s wearing those same chunky Merrell hiking boots he was wearing pretty much regardless of context long before normcore made The New York Times. You have to look close at the gray flyaways in his eyebrows to remember what year it is. He’s 54 and getting over a cold. His cough sounds like somebody punching their way out of a paper grocery bag. He zips his shaggy black fleece up to the neck. But then a Chateau guy wheels over a heat lamp for Keanu. Another Chateau guy wheels over another heat lamp for the other side of the table. Then the sun comes out, as if it, too, wants to make sure Keanu is warm enough. 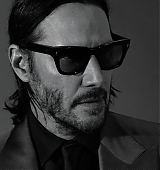 The sun bounces off the tabletop and up into Keanu’s face. It’s a nice, low fill light. 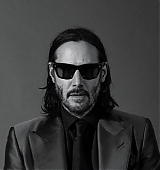 Meanwhile there’s John Wick: Chapter 3—Parabellum, which finds John excommunicado—assassins’ guild parlance for CANCELED—and on the run from a $14 million bounty after killing a guy in a no-killing zone. But the true stakes are the same as they’ve always been. John’s psychic struggle is what Reeves loves about these ludicrous, gun-crazy movies. He does not say who died. He’s lost people close to him, but when he was younger than 40, mostly. One morning they were standing together in a vineyard, Keanu and Anthony Quinn. They were shooting Alfonso Arau’s A Walk in the Clouds. 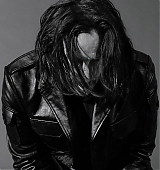 Reeves plays a traumatized World War II vet who falls for a pregnant woman. Quinn plays the patriarch of her rich, uptight Mexican-American family.